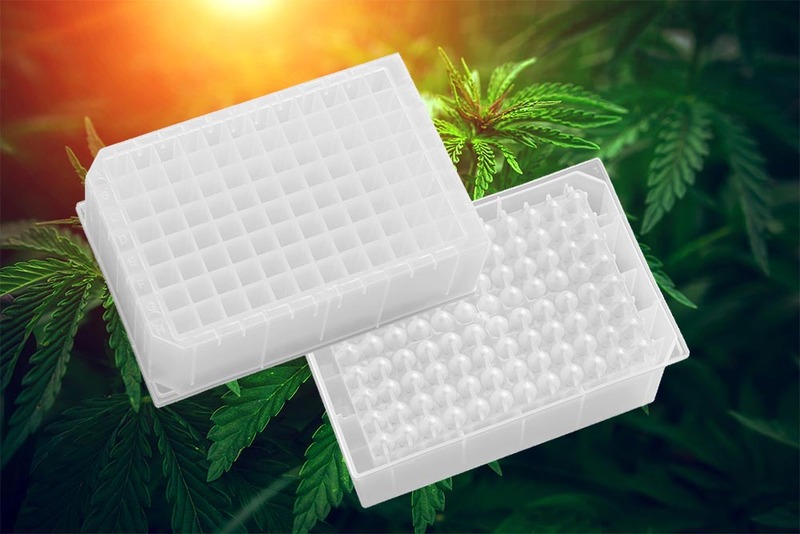 Porvair Sciences reports on a highly effective protocol, using its Plant Genomics microplate, for preparing cannabis samples for analysis of Tetrahydrocannabinol (THC) and Cannabidiol (CBD). With increasing legalization of cannabis for medicinal and research purposes, demand for accurate and high throughtput analysis of its active ingredients has dramatically risen. Cannabis plant material contains several cannabinoids for which the human brain has evolved receptors. The two most important are the psychoactive THC and the analgesic CBD which has therapeutic uses. The ratio of THC and CBD is crucial for differentiating medicinal versus recreational cannabis. This ratio is important for taxation authorities, medical regulators and growers alike. Accurate determination of the THC/CBD ratio is critically determined by effective sample preparation of the samples of cannabis leaf, bud and flower. 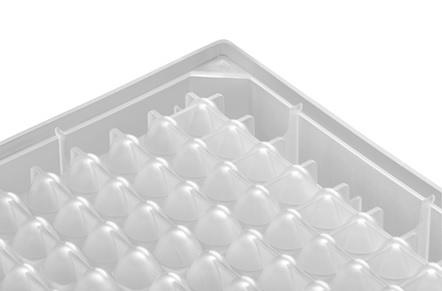 With more than thirty years’ experience in microplate manufacture, Porvair Sciences has applied modern design concepts and mould analysis to this problem to create a solid, stable and strong microplate that can withstand the applied forces in bead-beaters whilst maintaining a standard ANSI/SLAS footprint and key dimensions. In the protocol, sample preparation using the Plant Genomics plate in a GenoGrinder takes just 2 minutes. Following this, the dry ground Cannabis powder is transferred into the wells of a Porvair P3 filter microplate for extraction under agitation with methanol or isopropanol to dissolve the oily residues in the plant material. The collection plate containing the organic extract is then taken for HPLC analysis to determine the THC/CBD ratio. or contact Porvair Sciences Ltd on +44-1978-666222 / +1-800-552-3696 / int.sales@porvair-sciences.com.